An international road transport organisation has warned that it is ‘only a matter of time’ until refugees in Calais seriously injure or kill truck drivers. “I think we have to be aware of some of the dangers that drivers have been facing, the threats they’ve been faced with, and some of the potential attacks they’ve been suffering. Drivers have already been threatened with weapons, with knives and batons,” said Stuart Colley of the International Road Transport Union’s (IRU) Brussels office. “Fortunately there have been no fatalities and no serious injuries yet. I fear this is only a matter of time,” he added. Colley told euractiv.com that the IRU does not have data on how many attacks from refugees have been reported against truck drivers. But he said that many of the incidents occur in Calais, France, where thousands of migrants have tried to cross to the UK. A representative of one human rights NGO called the claim that refugees threaten truck drivers’ lives “predictive, scapegoating and painting people with a broad brush”. Other NGOs declined to comment because they did not have enough information about the issue. Colley said the IRU sent a letter to European Commission Vice President Frans Timmermans several weeks ago demanding the Commission take action and fund secure parking lots for trucks. “There are some very desperate people out there and there are some very determined people out there who are clear about where they’d like to go and where they’d like to be,” Colley said. According to Colley, drivers are unfairly fined £2000 per refugee if their trucks are found hiding people when they arrive in the UK—though he argues there’s often no evidence to show the drivers are guilty of smuggling. Representatives from the road, rail and maritime transport industries shared details of how the refugee crisis has extended travel time and added to costs during a conference held by the ALDE group yesterday (3 March) in the European Parliament. EU Transport Commissioner Violeta Bulc noted that 77,000 passenger cars and 106,000 trucks were disrupted last year as a result of the refugee crisis, citing figures from the Commission’s report set for release later today on saving the Schengen area. “We’re now trying to find tools that will work for everyone. And I think the latest moves and proposals that are out on the table are reflecting that,” Bulc said, commenting on some Schengen countries’ recent move to enforce border controls. 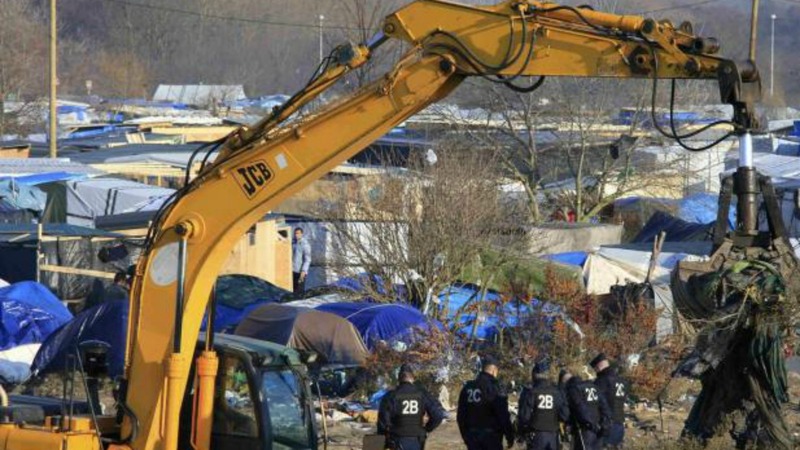 A French judge yesterday (25 February) upheld a government plan to partially demolish a shanty town near the port of Calais for migrants trying to reach the United Kingdom, an official spokesman said. Eurotunnel, the company that manages the Channel tunnel between France and the UK, has fronted tens of millions of euros for security measures for what spokesman John Keefe calls “fortress Eurotunnel”. Keefe said the company is negotiating with the French and UK governments, which will take over costs related to border controls and security. Between January and October 2015, Keefe estimates that Eurotunnel kept 80,000 refugees from reaching the UK. That figure was dramatically slashed last autumn when the company built a 40 km fence around its facilities in France, hired 150 private security guards and installed 100 video cameras. The company will cover costs for employees who have had to double up on work shifts. “This is a hole in the ground that we’re throwing the value of our economies into,” Keefe said. Representatives from other transport industries echoed concerns that companies are buckling under pressure, especially at border crossings. The Swedish national rail operator reported losing €540,000 in revenue from disrupted trains between Sweden and Denmark in January and February of this year. The company claims it pays over €200,000 in new monthly fees caused by mandatory passenger ID checks. Patrick Verhoeven, secretary general of the European Community Shipowners Association, said Nordic countries have forced ferry operators to carry out ID checks in 2014 and 2015, which he called a “shift from what is actually a government responsibility”. “In Denmark most passengers refused were European citizens who just didn’t have documents. Only about 5% were asylum seekers,” Verhoeven said. The European Union will unveil on Friday (4 March) a “roadmap” to restore by November the Schengen passport-free travel area, which is nearing collapse because of the migration crisis, sources said. A spokesperson for the International Road Union said truck drivers are being threatened and attacked by refugees, especially in Calais, France, where thousands of refugees try to travel to the UK. 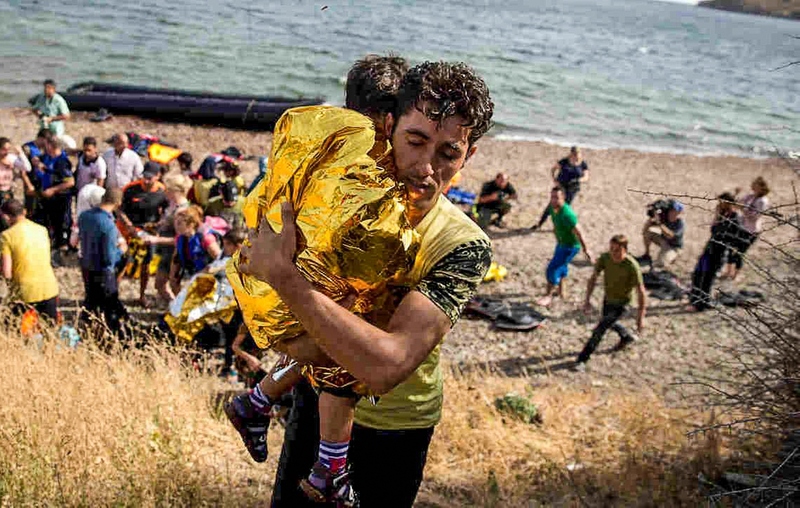 Representatives from the rail and maritime sectors said companies had incurred costs and administrative burdens as a result of the refugee crisis. Swedish rail operator SJ claimed €540,000 in losses from disrupted trains between Sweden and Denmark in January and February 2016. The European Community Shipowners Association said Nordic countries required ferry operators to run passenger ID checks themselves. Hey, hey JCJ how many Truckers were attacked today?